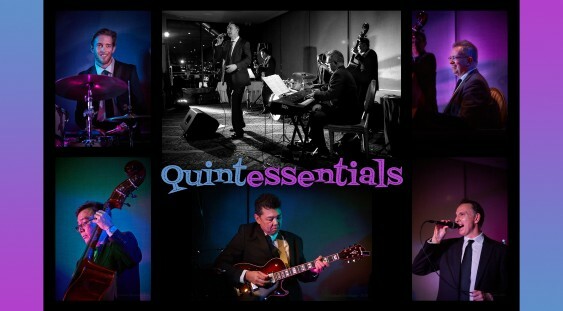 Perth’s latest jazz ensemble, the “Quintessentials”, is a quintet that covers swing and jazz standards made famous by the likes of Frank Sinatra, Nat King Cole, Harry Connick Jnr and Michael Buble. The Quintessentials are comprised of some well known Perth musicians – Earl Cole (vocals), David Wickham (piano/keyboard), Jeff Campbell (guitar), Malcolm Mah (bass) and Barnabas Courtauld (drums). International performer Earl Cole is one of Perth’s most versatile vocalists and musicians covering genres from neo-classical to jazz and pop. Known as a soloist for covering artists such as Michael Buble and Frank Sinatra, he also has a popular 80s cover band (80s Inc) and under a different name has released numerous original albums of pop and instrumental New Age and neo-classical music. He had number 1 and 3 albums on the WA independent charts in the mid 80s and supported a number of touring acts including Pseudo Echo and Do Re Mi. In 2006 he was a top 5 finalist in the classical music category of the National Musicoz Awards and won an international soundtrack composition contest (USA) that same year. David Wickham is one of Australia’s pre-eminent accompanists, and a lecturer at the Western Australian Academy of Performing Arts. He has broadcast several recitals for ABC Classic FM, BBC Radio 3 and UK Classic FM, largely as accompanist for artists such as Gregory Yurisich, Lisa Gasteen, Cheryl Barker, Emma Matthews, Sara Macliver, Fiona Campbell, Andrew Nicholson, Margaret Blades, Michael Goldschlager and Lisa Harper-Brown. David recently released the fourth of a series of CDs of Australian songs on Stone Records. Malcolm Mah proves that one is never too old, or young, to switch careers and pick up an instrument in midlife. Having practiced as a medical doctor in Singapore for 20 years, he moved to Perth in 2008 to pursue a music degree at the Western Australian Academy Of Performing Arts (WAAPA). 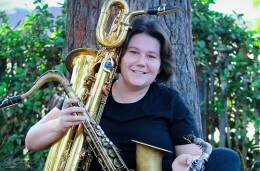 Since graduating in 2013, he has worked with numerous local jazz and contemporary music acts including Boogie Lover Band (for which he is the band leader), the Catz Meow (music director and arranger for Tania Walker), the Manhattan Hot Swing (Phil Hatton), Beans Bumas Boys Of Rhythm (Tom Greble), Rhythm 22 (Jamie Maika), Neil Diamond Tribute (Brenton Fosdike), Soul Corporation, The Miracle Band, The Merindas, the Lions Big Band, Kenny Austin and Alkatraz. Barnabas Courtauld has been a part of the Perth music scene for over 10 years, performing music in a wide range of genres including jazz, pop, rock, samba, folk, blues and reggae. Studying music at TAFE and WAAPA, he has placed an emphasis on versatility and flexibility as a drummer and musician. 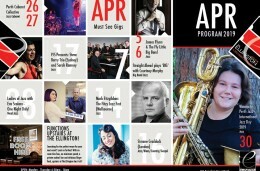 Jeff has been playing in bands in Perth for the last 40 years, covering genres from pop, rock and Jazz. His playing style has been influenced by Mark Knopfler, George Benson and Earl Klugh. While in Hego Zygo and Fuse in the late 80’s he supported a number of touring acts including Mondo Rock, The Troggs and Normie Rowe. Jeff toured South Korea in 2017 and played at the legendary Once in a Blue Moon jazz club.